Climate change, sometimes labeled global warming or the enhanced “greenhouse effect,” is the extraordinary warming of the Earth from increased concentrations of “greenhouse gases” (GHGs) and the climatic consequences of that warming. Many of those consequences are likely to be harmful to humans and to the natural environment. Over the last decade, governments have negotiated international agreements to address climate change, most notably the 1992 Framework Convention on Climate Change (FCCC). 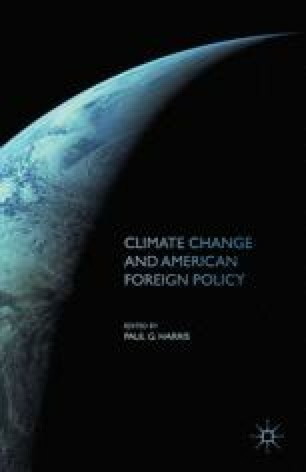 American foreign policy has become intimately involved in the politics of climate change. This policy is explained by a myriad of factors, ranging from concerns for American national interests and the pluralism of American domestic politics, to the influence of ideas and international norms on foreign policymakers.